It was signed by her in 2017. I've attached the best pictures I have from the event. Aliens Xenomorph Warrior Collectable Figurine Eaglemoss Hero Collector New. Condition is New. Dispatched with Royal Mail 2nd Class. ALIEN COVENANT. More ALIEN GIFTS AVAILABLE. This is for a deck of PLAYING CARDS IN A TIN BOX. 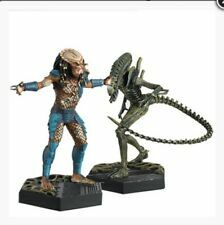 Konami ALIEN VOL.2 WARRIOR AVP figure collection NEW !! Japan Limited !! From Konami in Japan. ALIEN VOL.2. Condition.Unused, Excellent condition! With instruction sheet. Without original box. LootCrate Alien Facehugger Face Towel 11" x 11". Hard Foam UFO Roswell Grey Alien Head Bust 12” wide and 14” tall. This was bought a month ago for an Escape Room, but the room never got built and so selling on. It was imported from USA and had to pay huge customs and postage costs. So this is a bargain for anyone from the UK especially. Konami ALIEN VOL.2 WARRIOR figure collection model Japan limited SEALED !!!! From Konami in Japan. ALIEN VOL.2. With instruction sheet (NOT ORIGINAL ONE, BUT COPIED ONE) Without original box. A CUSTOM SCULPT OF A PREDALIEN SKULL COMPLETE WITH ITS 4 MANDIBLES, AS THE PREDATOR JUST TAKE THE "ABOMINATION" HEAD SKULL AS HIS WORTHY TROPHY. MAKE YOUR TROPHY CASE BIGGER. MADE IN RESIN AND DECORED IN OIL PAINTS PLUS THE MANDIBLES ARE MADE IN A MORE RESISTANT MATERIAL THAN THE REST OF THE HEAD TO ENSURE DURABILITY OF THE PIECE. 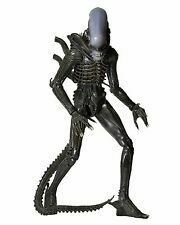 Konami ALIEN VOL.1 NEW ALIEN figure collection model Japan limited SEALED !!! From Konami in Japan. ALIEN VOL.1. NEW ALIEN. Without instruction sheet(you can get a copied one) Without original box. Real image of ancient Astronaut! Bronze Ring with ALIEN/EXTRATERRESTRIAL! Aboriginal rock art on the Barnett River, Mount Elizabeth Station, Australia. Dating from at least as early as 30,000 years ago. Sideshow Collectibles. Predator 2 Biomask Prop Replica. The design is the Warrant Officer Wings Crew Patch from the ALIEN Movie Series - as worn by Warrant Officer Ellen Ripley (played by Sigourney Weaver). Alien Movie. Black Officer Wings (Weyland-Yutani). ~ALIEN WARRIOR~LIFE-SIZE HEAD~PROP REPLICA~. Double your traffic. LIMITED EDITION #70. Original Halcyon models Alien creature from the movie. I bought this built along with others. Most joints appear to be fixed except for the legs. This stands 16.5" tall and has a soft dome to the head. I am also selling other Alien models. A-BOX ALIEN COVENANT Ltd Edition Box Life Size Replica Face Hugger Small T-shirt. Alien Covenant Cap 6 x Pin badges Face hugger bottle opener Condition is New. Dispatched with Royal Mail 2nd Class. This particular piece is a VERY low production number. This is number 8 of only 200 made worldwide! 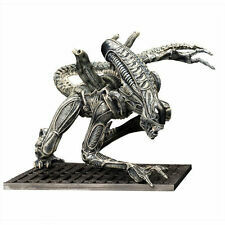 Alien Prometheus Space Jockey Statue Sculpture Figure Rare Art. Depth: 20 cms. SPECIAL EASTER PERIOD ONLY FIXED PRICE! Height: 51 cms. From the Alien Vs Predator comic book series is Machiko Noguchi wearing Predator 2 armour fighting against an Alien Warrior. This resin model kit is rare, it is original and I bought it as shown - previously completed to a high standard but with some pieces needing repair. All parts are included, her helmet is removable and she stands 8" tall, the Alien stands 9.5" tall on 13" long base. The model is approx 8th scale, like Genocide this base has details dressed in which were Halcyon Alien parts and an AT-AT model piece. I am listing most of my remaining Predator kits. Many are very rare 90's releases. I will do my best to pack everything well to avoid damage but courier services no longer insure breakable items for damage, only loss. All will be tracked. (HELLO, HERE AT THE ALIEN'S LAIR YOU WILL FIND MANY ALIEN RELATED GOODIES! DIGITALLY REMASTERED LETTERBOX EDITIONS OF ALIEN, ALIENS & ALIEN 3! EXCLUSIVE SEALED - TORN BAG THOUGH) ALIEN TRILOGY T-SHIRT XL (MISSING FROM MOST SETS!). Opened and displayed briefly, no flaws. Buy from a trusted seller with flawless feedback and fast shipping. My feedback speaks for itself. Comes from a smoke free/pet free home. Please check all pictures and ask any questions before purchasing. Make sure to check out my other items for sale and to follow me as a seller as I am adding new items daily. Any questions or other photos needed please don't hesitate to ask. Thanks for checking out my page! Alien Prometheus 1:1 Xenomorph Head Statue Sculpture Rare Art. HANDMADE FROM A SILICONE MOULD, FETTLED, SANDED, FILLED, ASSEMBLED AND HAND-PAINTED. just one strong screw-fixing is sufficient to hang this trophy. I have emulated as much as possible the conduit and cable features inherent in the facial and jaw areas and the shiny cranium. Depicting the underwater scene in Alien Resurrection, this swimming Alien with ship interior base is a resin model kit. I bought this constructed, painted and dismantled as seen. A couple of back pipes have snapped and those along with the tail and head are seperate from the body. Everything has been painted a basic black colour. Alien measures 12" with foot stretched out so this is approx 8th scale. 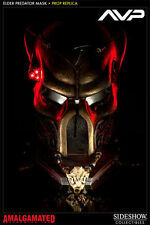 I am listing most of my remaining Predator kits. Many are very rare 90's releases. I will do my best to pack everything well to avoid damage but courier services no longer insure breakable items for damage, only loss. All will be tracked. HELLO, HERE AT THE ALIEN'S LAIR YOU WILL FIND MANY ALIEN RELATED GOODIES! ON THE DESIGN OF ALL ASPECTS OF THE ALIEN & ALIEN PLANET! THIS IS A BEHIND THE SCENES LOOK AT THE ALIEN CREATURE DESIGN OF RIDLEY SCOTT'S MASTERPIECE! "Whoever wins, we lose!". Featuring characters from both sides of the battle in Paul W.S. Anderson's Alien Vs. Predator film. This hard to find Predator Fig is in near mint condition and is a must have for the Neca Predator collector. Take a look at the photos and let me know if you have any questions. As for shipping, I ship with care. The item will be bubble wrapped and shipped in a box with padding. Set Contents : Alien Head DVD Case. Region : Region 2 (Japan, EU, The Middle and Near East, South Africa,Egypt). Format : DVD. Language : English, Japanese. Number of discs : 9.